From the inside front fly leaf: 'Shark Squadron Pilot' is a graphic illustra­tion of the realities of the air war in the Western Desert. Bert Horden joined No. 112 'Shark' Squadron early in 1942 and was soon initiated into the ground attack role of the 'Kittys'. 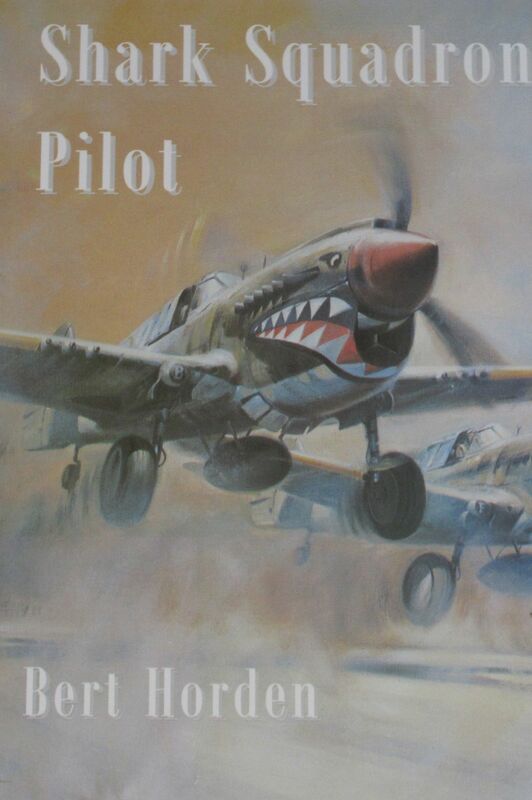 With their garish shark's mouths painted on their aircraft No. 112 Squadron wreaked havoc on the German Afrika Corps as the war in the Western Desert rose to its cli­max. Inflicting terrible damage with machine gun fire on soft skinned targets, like convoys of trucks, and causing significant damage with their under-slung bombs on the hard skinned Panzers, the aircraft of '112 Squadron soon became well known to Rommel's troops. Using his diary and flying log book to pre­serve the accuracy and immediacy of the events Bert Horden has written a superb account of desert flying. In places extremely graphic and throughout well illustrated, 'Shark Squadron Pilot' will be an important contribu­tion to the recorded history of the Second World War.